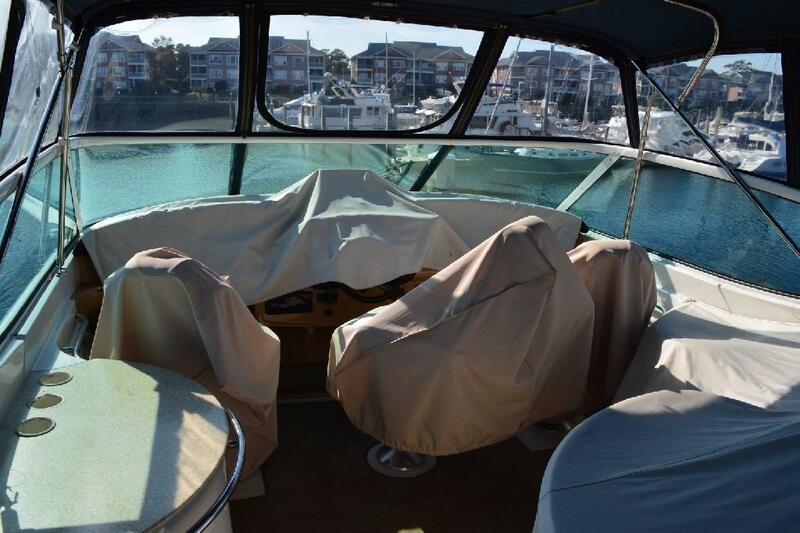 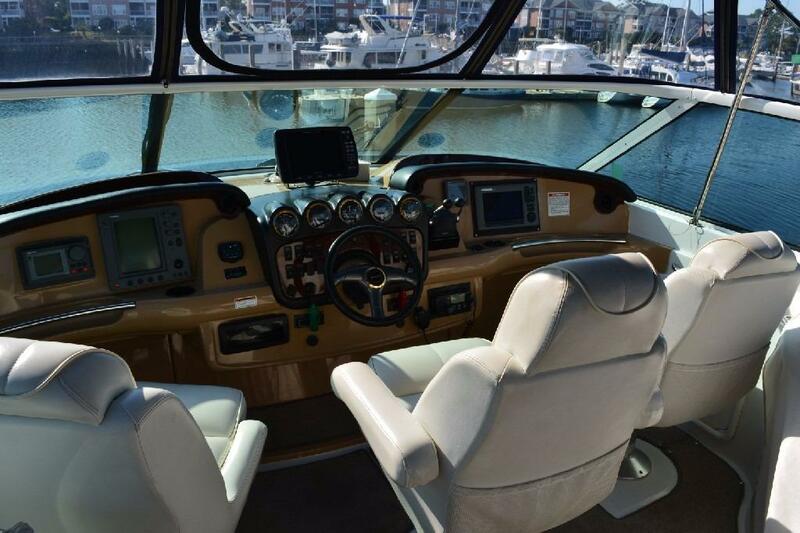 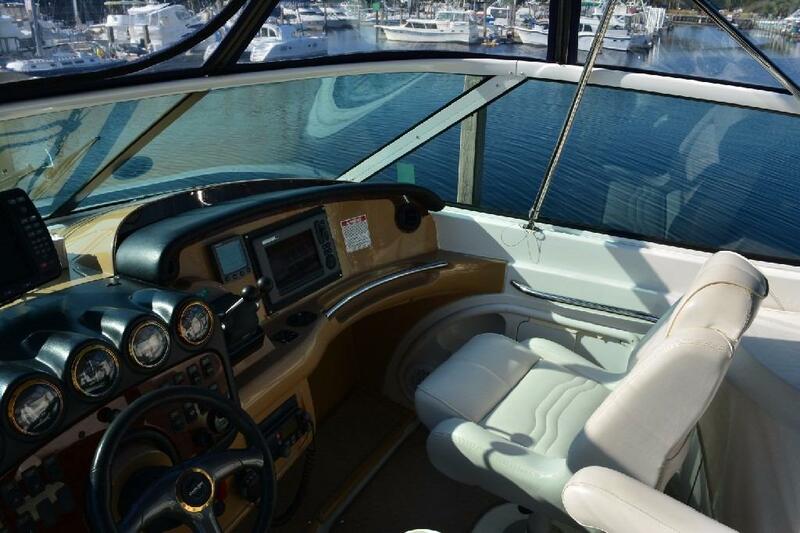 The generously sized bridge of the 466 Motor Yacht features a circular lounge with ample seating for four, plus an adjustable helm seat, two companion swivel chairs and an ultra-stylish control console that provides abundant space for electronics. 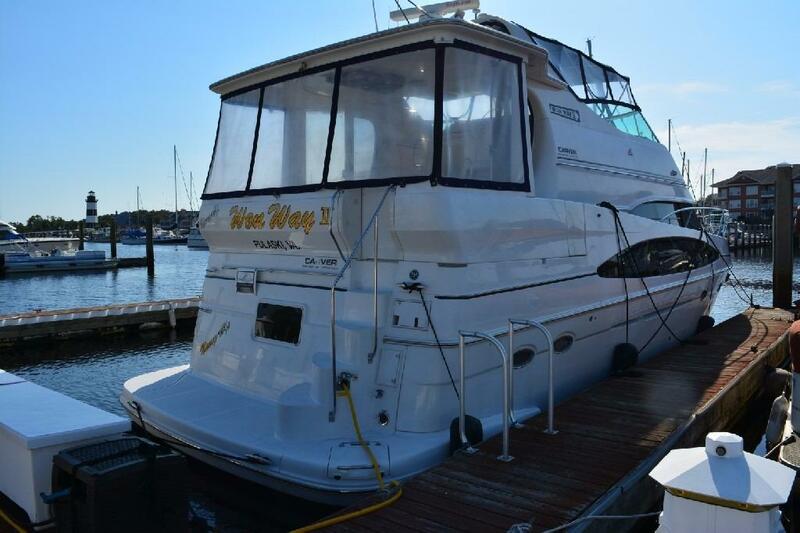 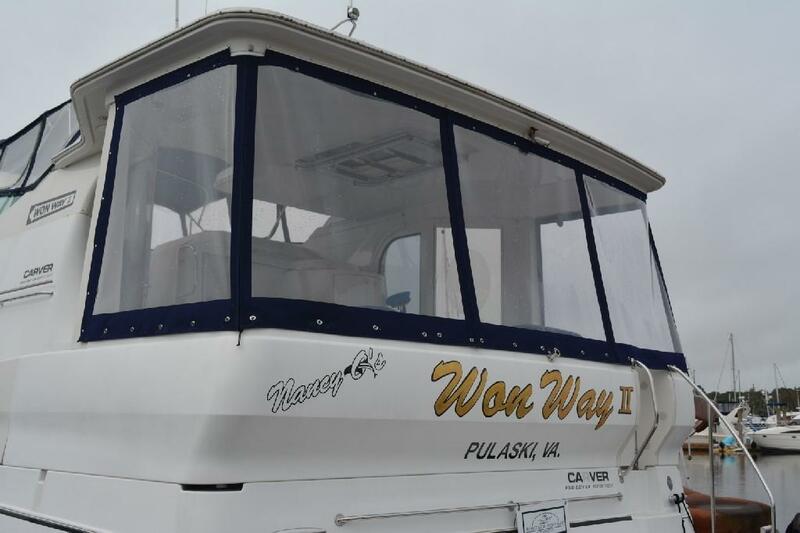 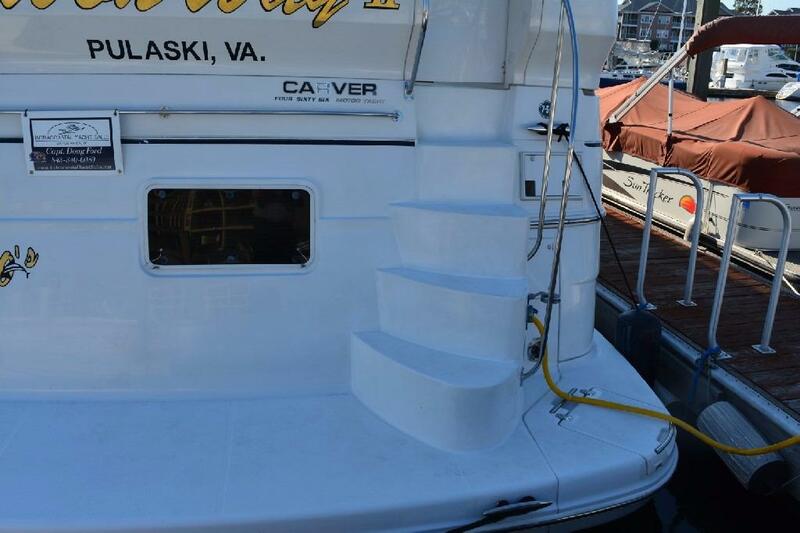 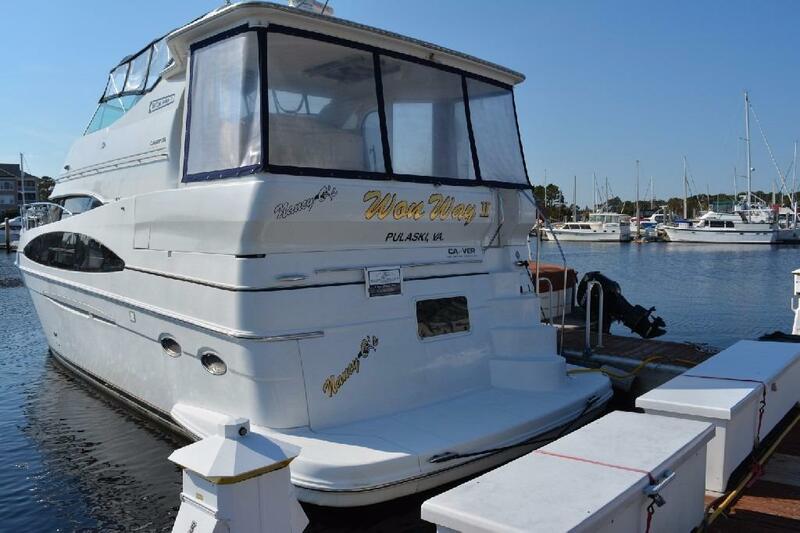 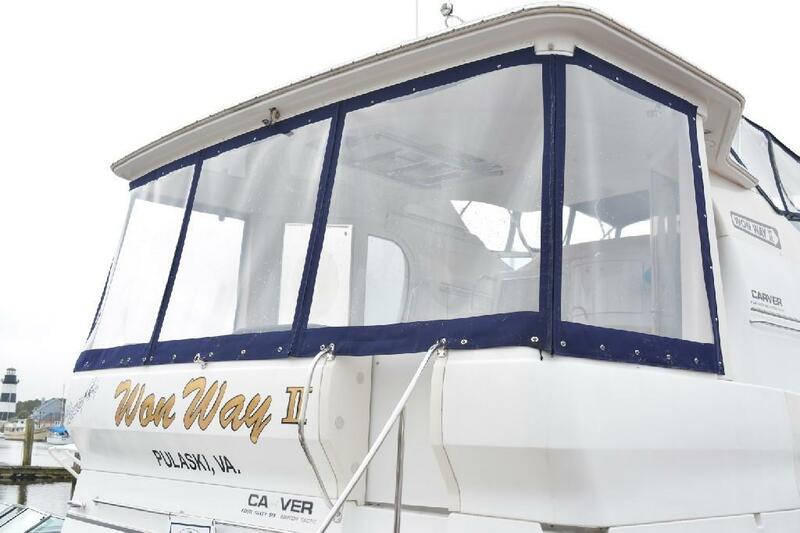 An integral stairway leads to the spacious aft deck where entertaining is a pleasure, with a hardtop that covers the entire deck, a skylight, wet bar that includes bottle storage, and a transom door that can be conveniently secured open or closed. 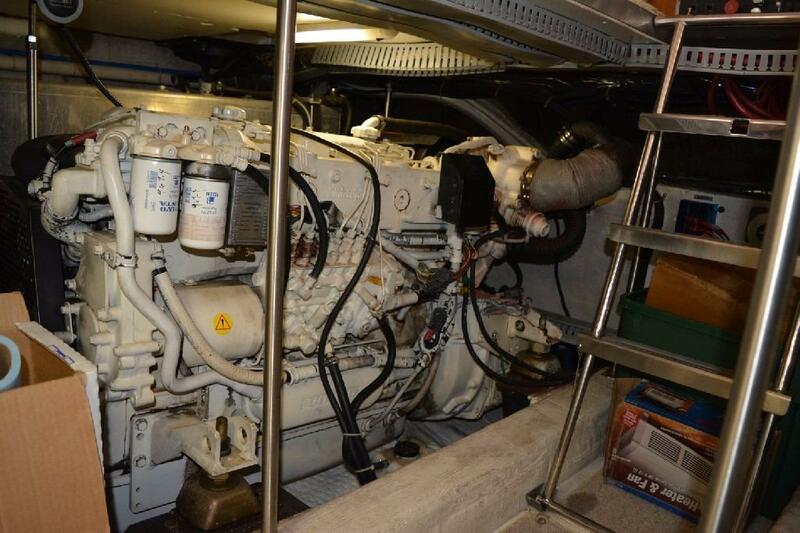 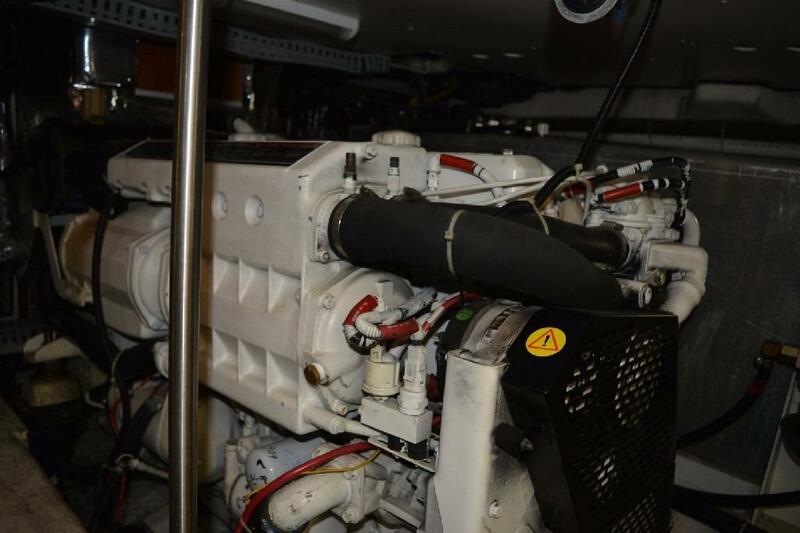 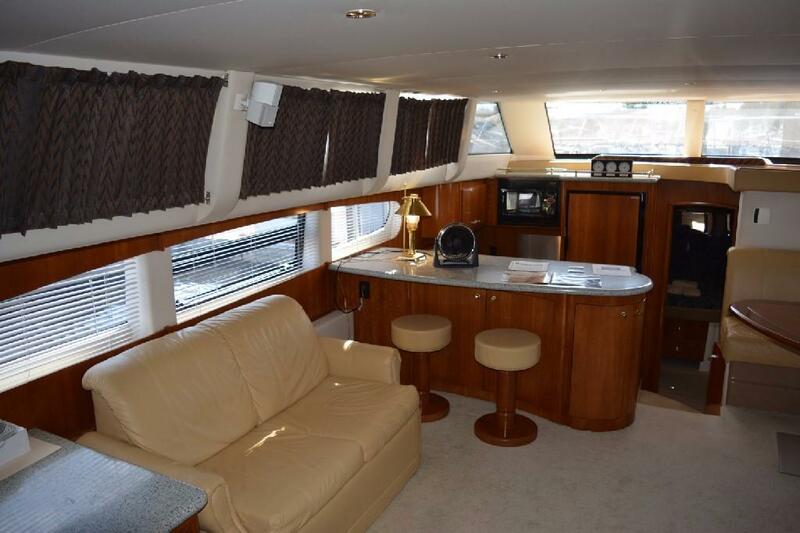 Belowdecks, the salon is exceptionally large, thanks to the additional space created by the 466's raised side decks. 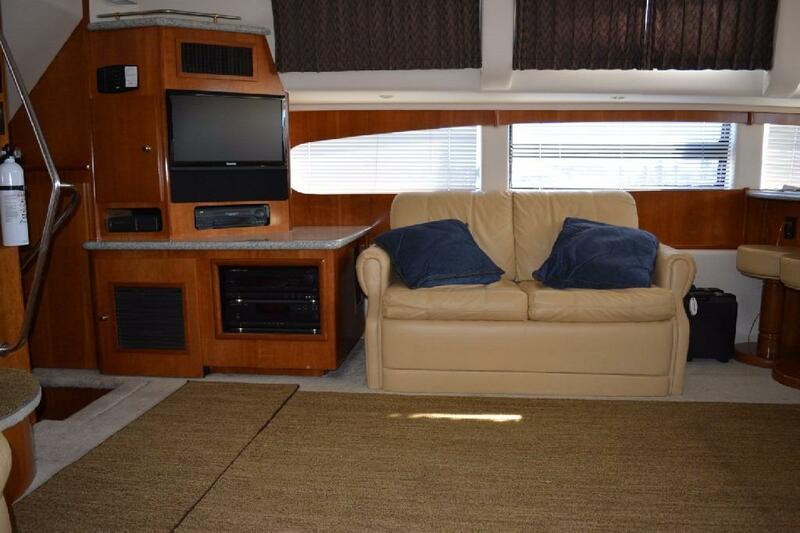 The striking decor and luxurious furnishings include an entertainment group with TV, VCR and stereo, an UltraLeather lounge with luxurious incliner and a solid-surface snack bar. 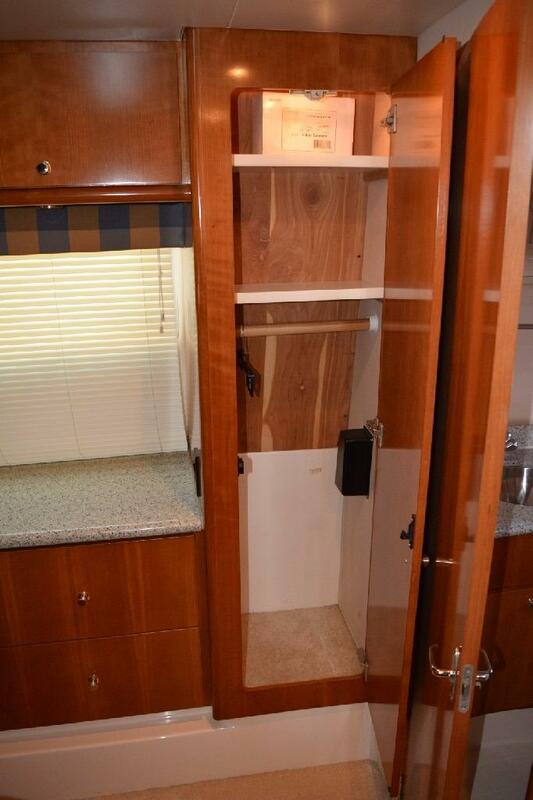 Elegant cherry wood cabinetry and trim add a dash of extra style. 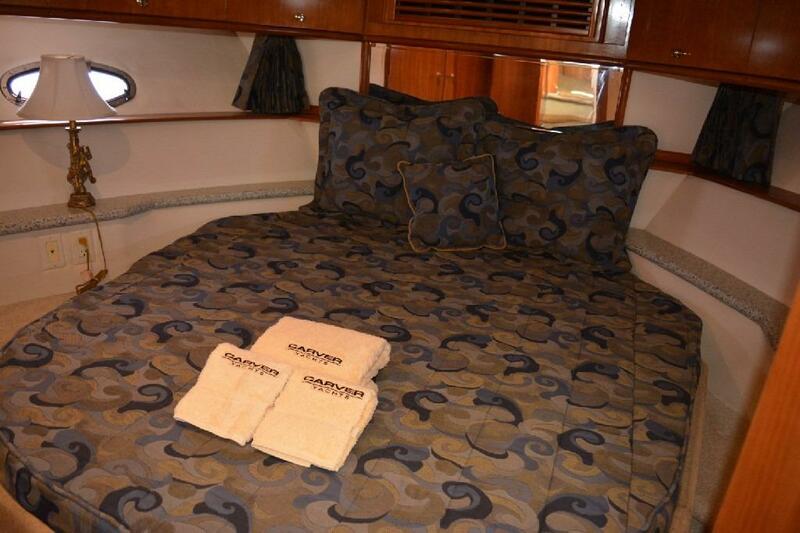 Three plush staterooms and two head compartments deliver privacy and comfort. 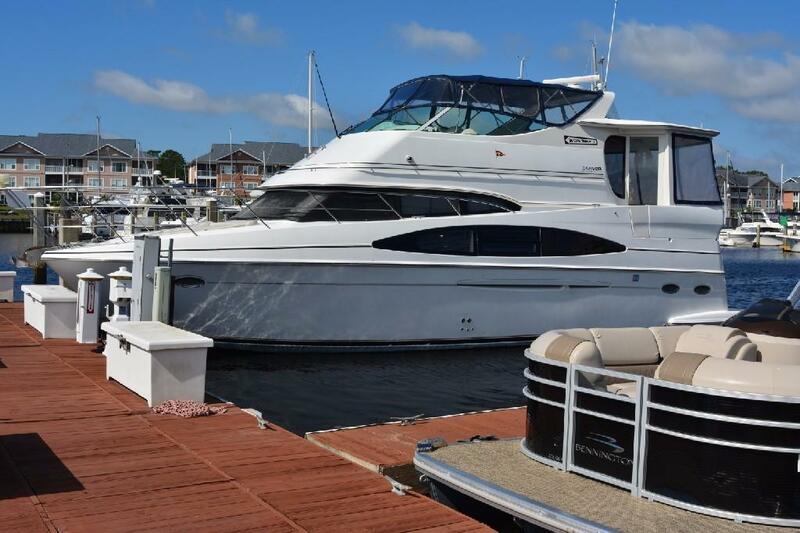 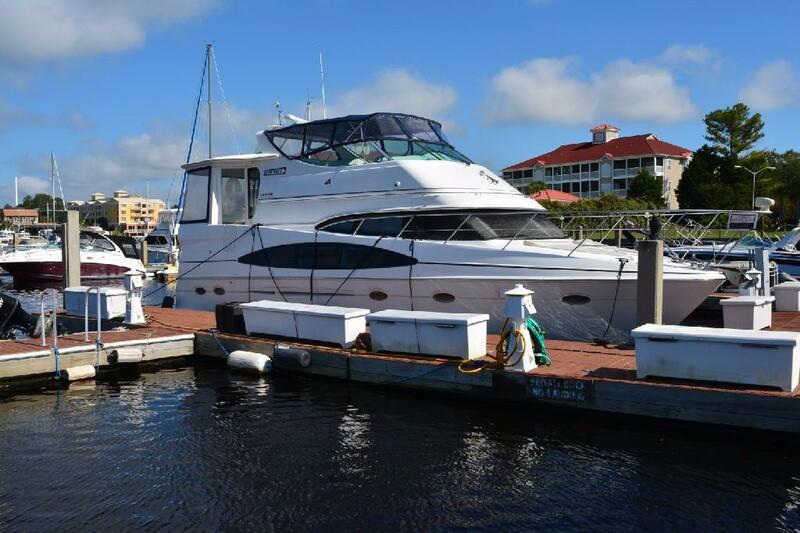 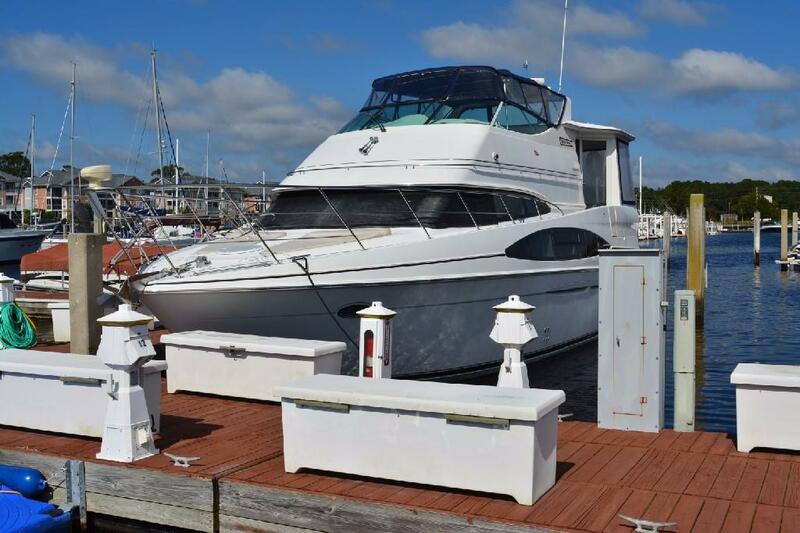 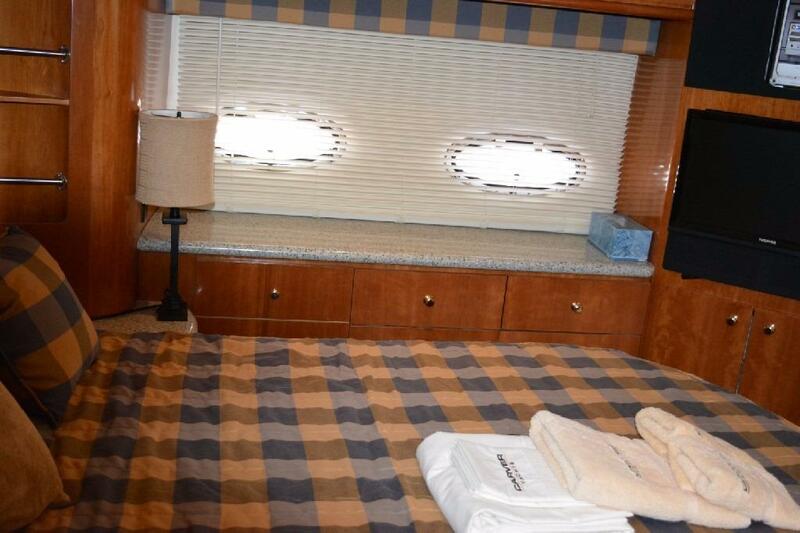 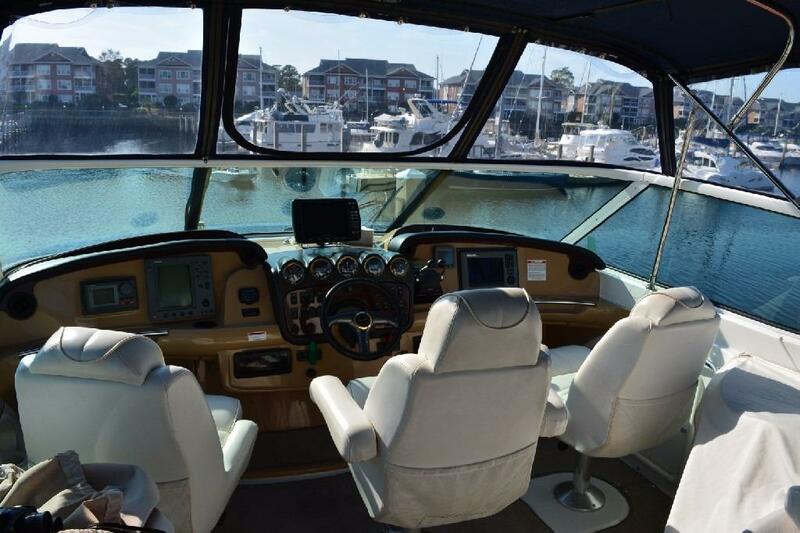 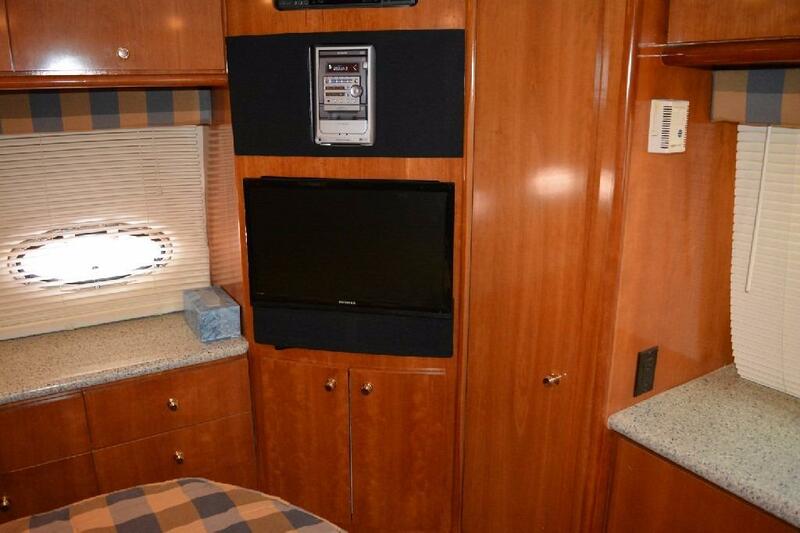 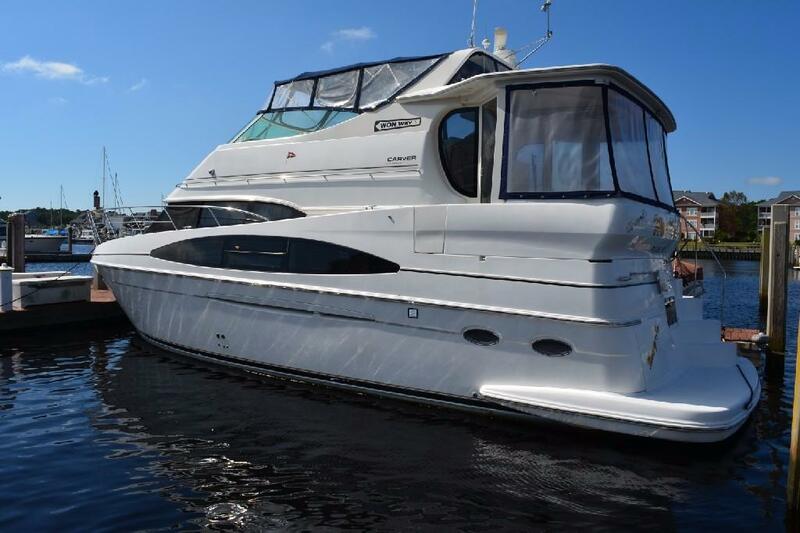 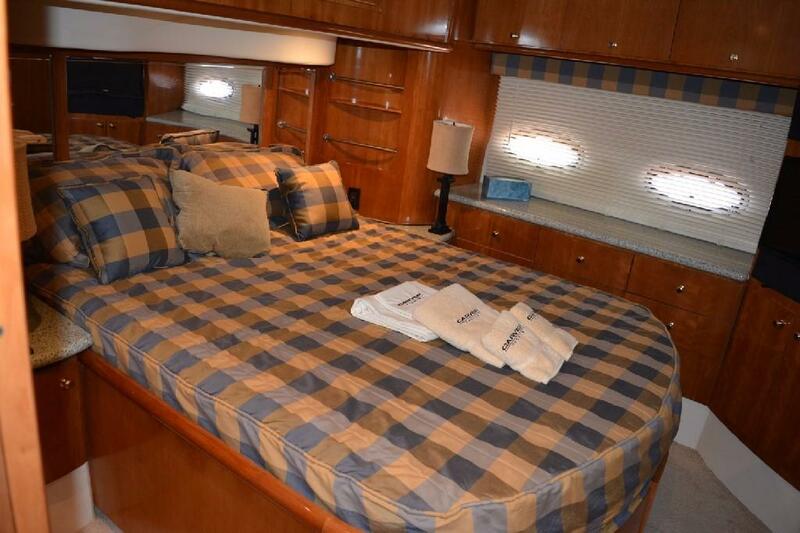 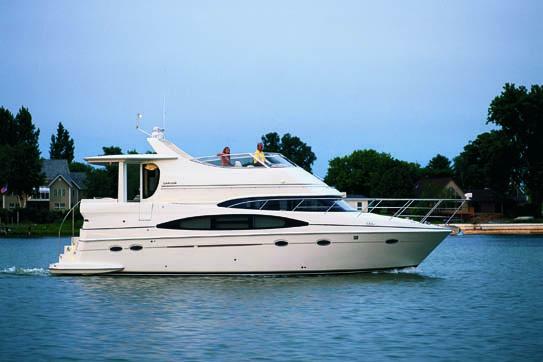 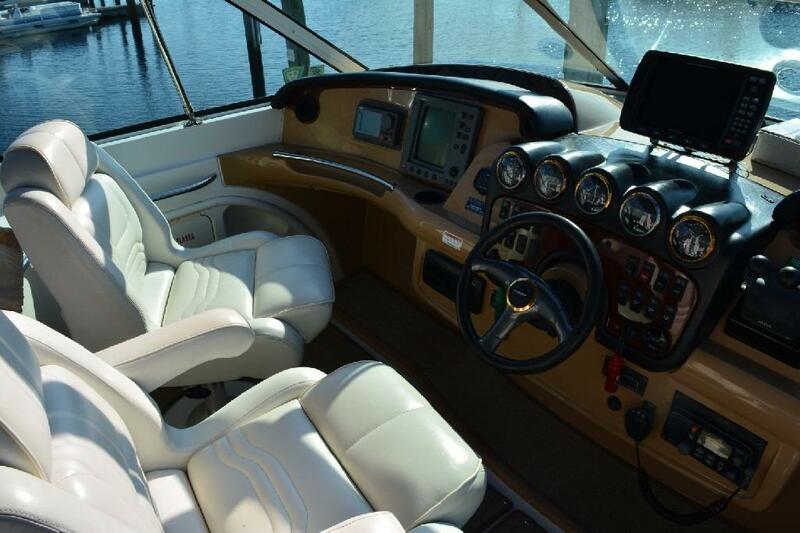 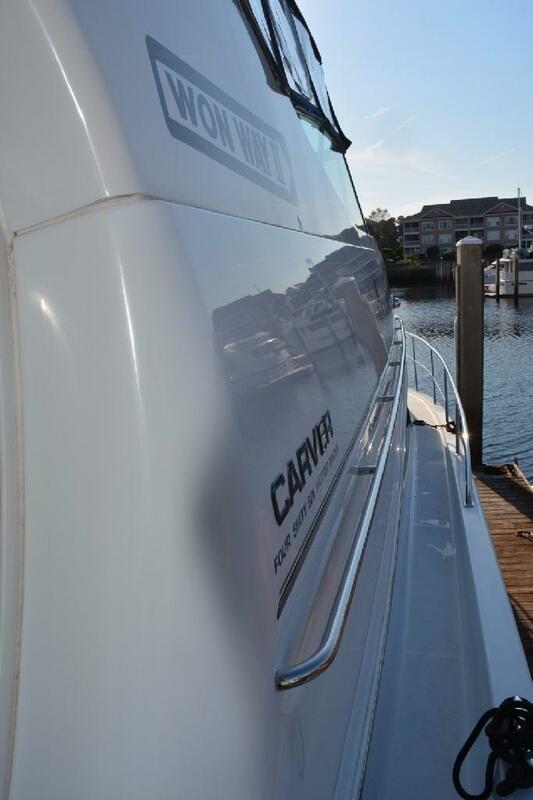 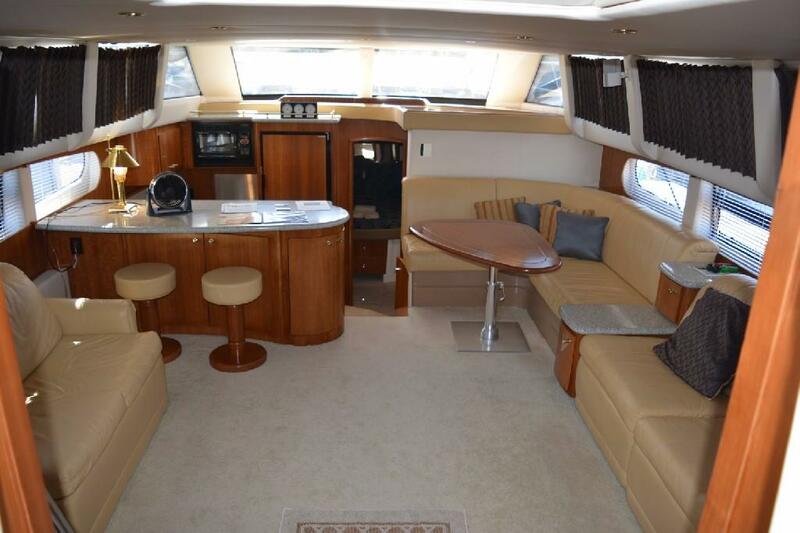 The Carver 466 Motor Yacht is a Three-Stateroom Two Head Layout with a massive Salon and excellent Accommodations. 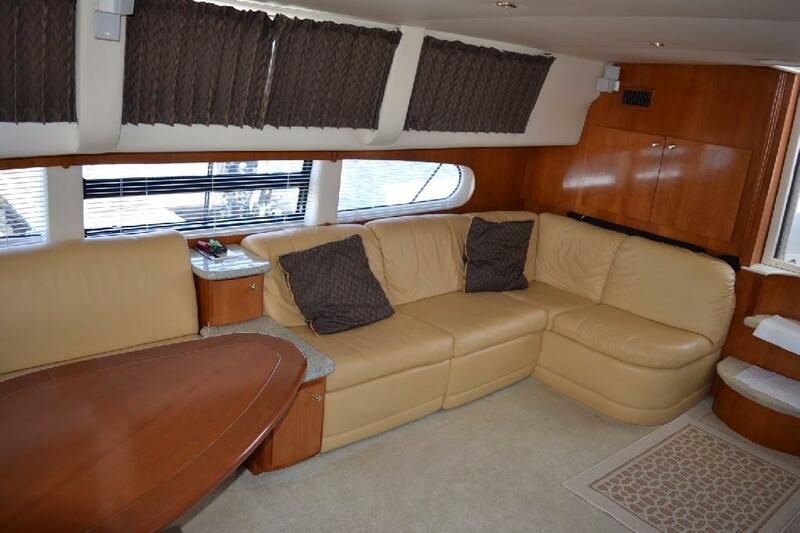 The Salon features two L shaped Settees and a movable high-low Dinette table to starboard, with a double Settee opposite to port. 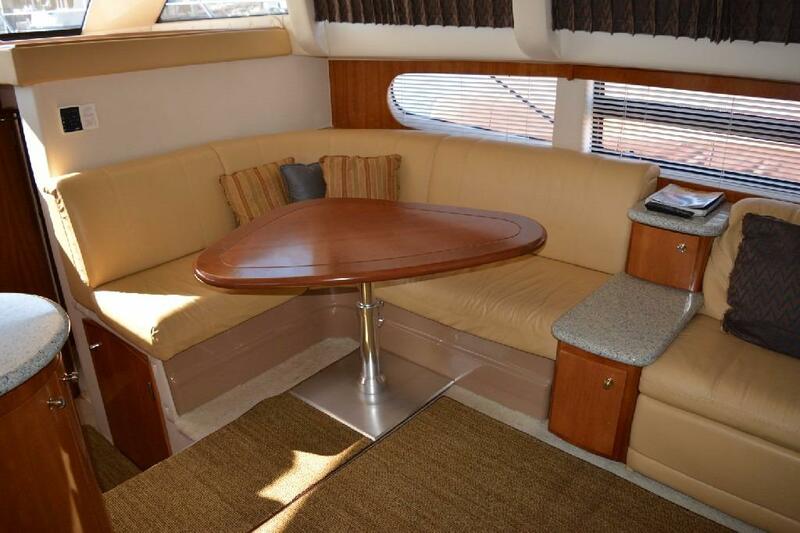 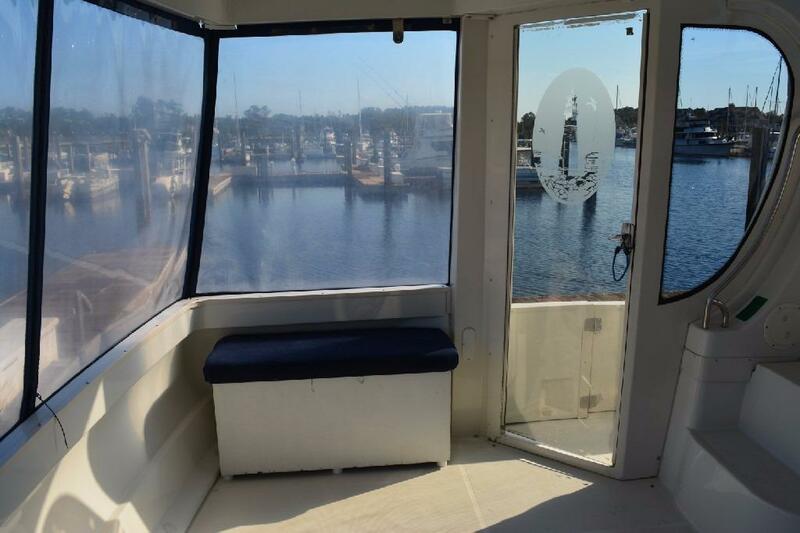 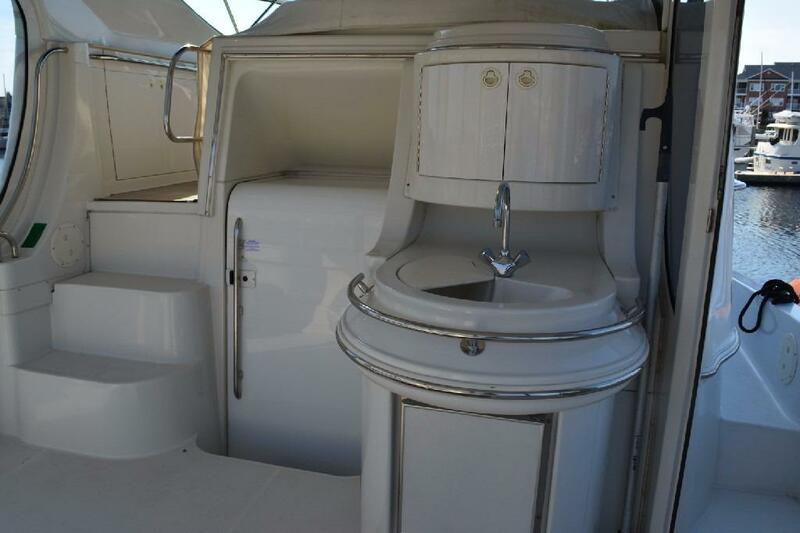 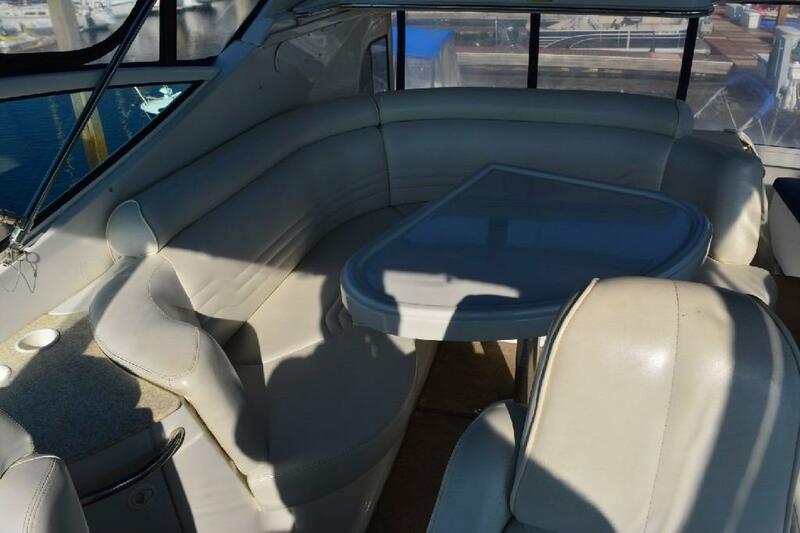 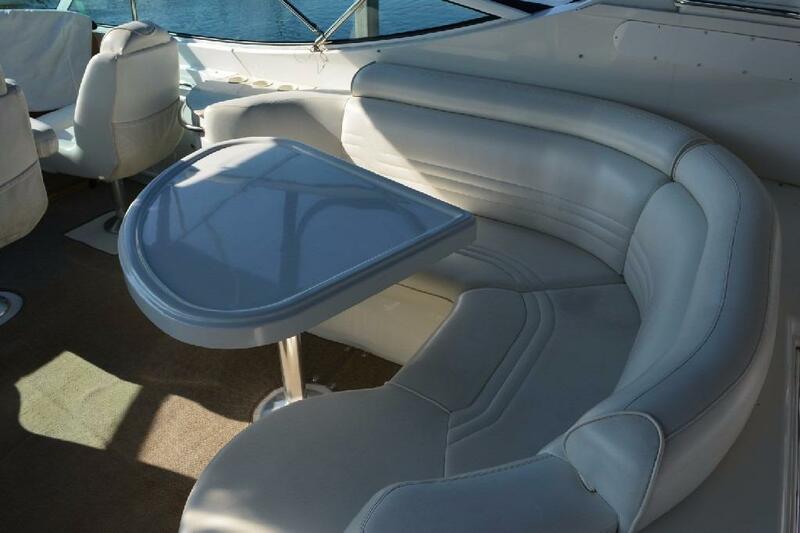 The Salon is separated from the portside Galley by a large bar with solid surface counter and two matching bar stools. 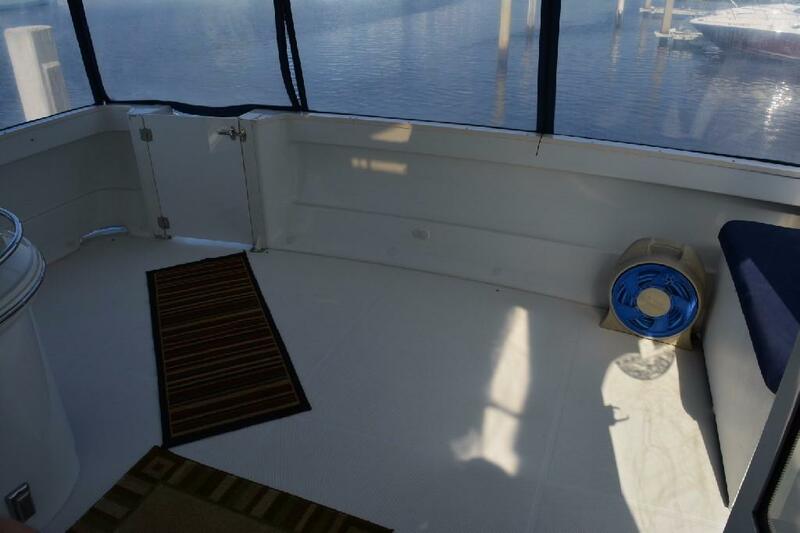 The Forward VIP Stateroom is separated from the main Salon by a privacy door, and features an Island Queen berth and excellent storage. 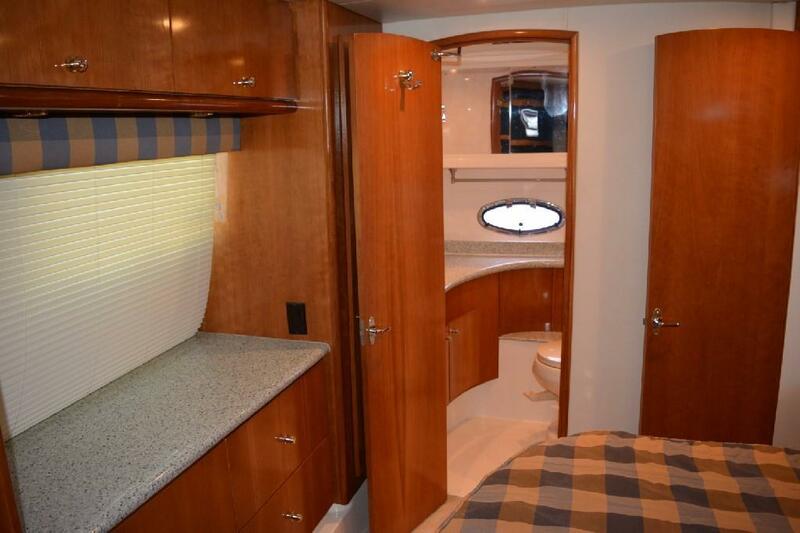 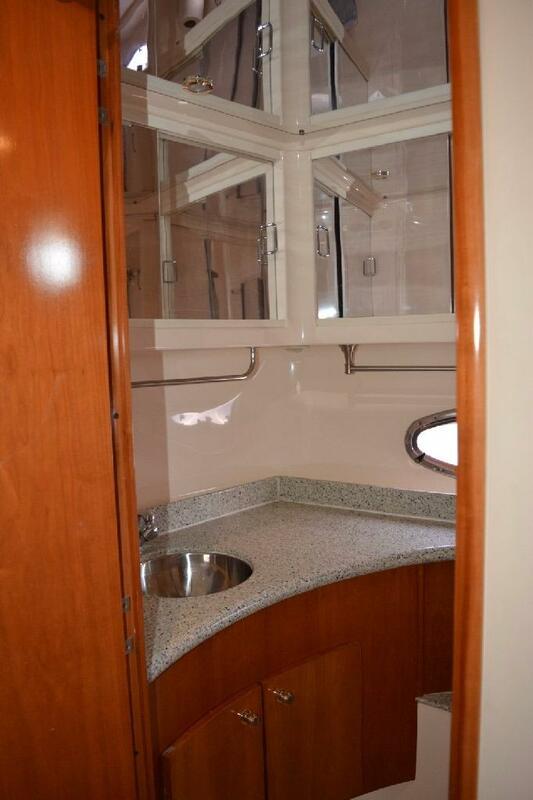 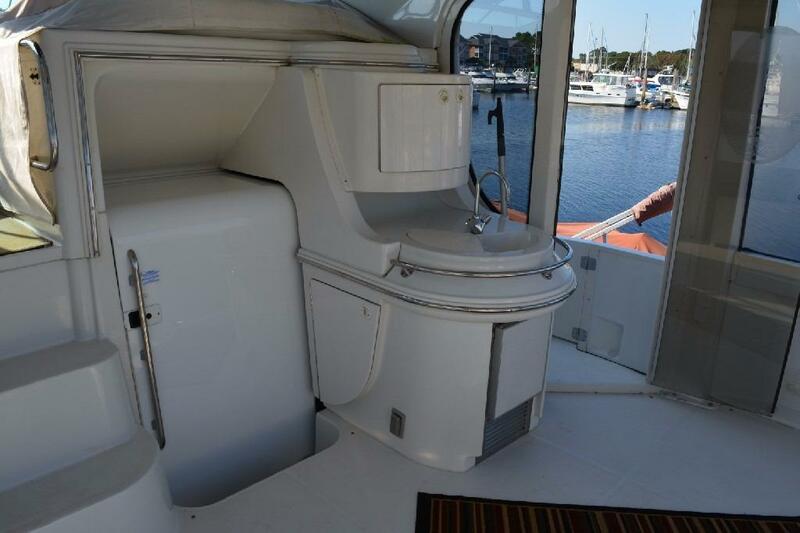 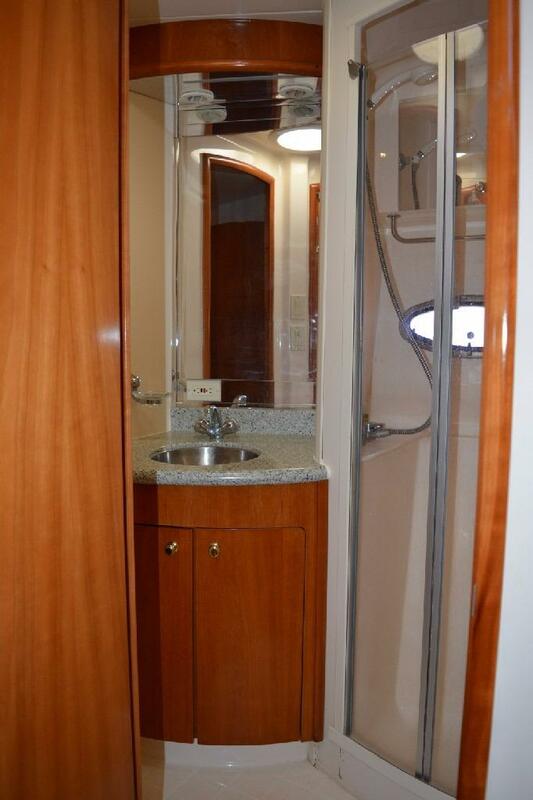 The Forward Head compartment has a privacy entrance to the Forward VIP as well as an access door opposite the Galley, and features a large stall shower enclosure. 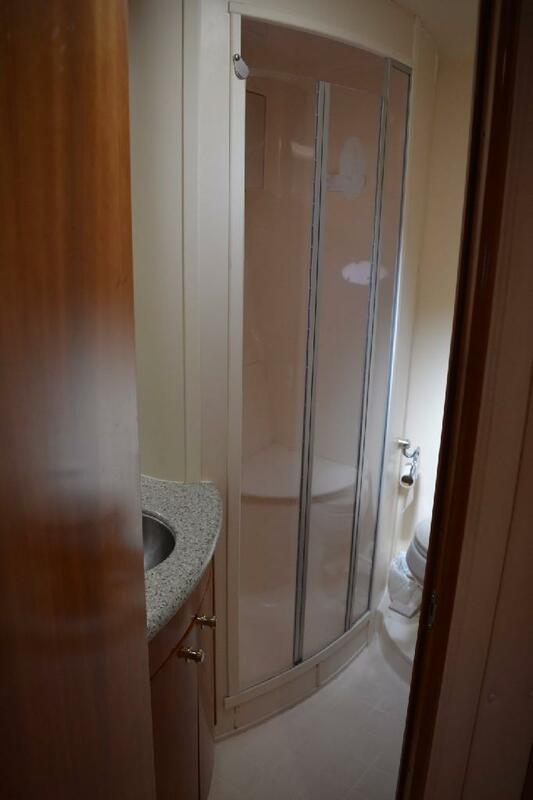 The Third or "Half" Stateroom is aft of the Forward Head to starboard and also features a privacy door and a single berth. 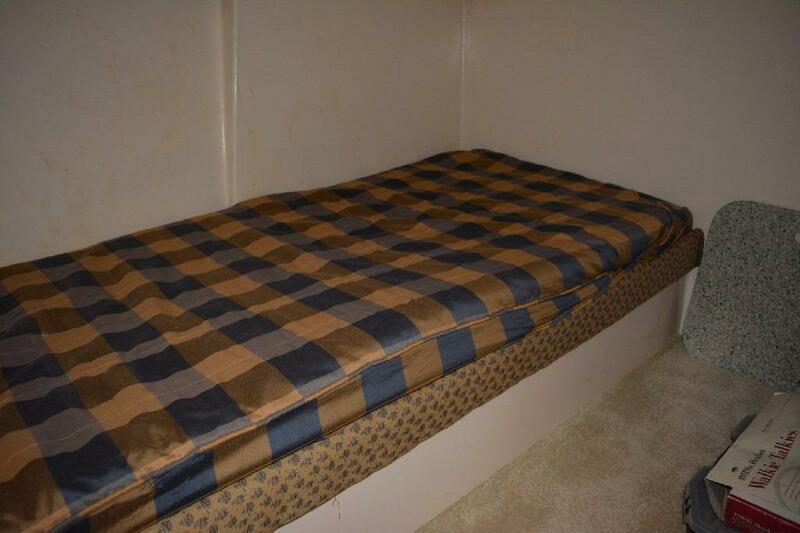 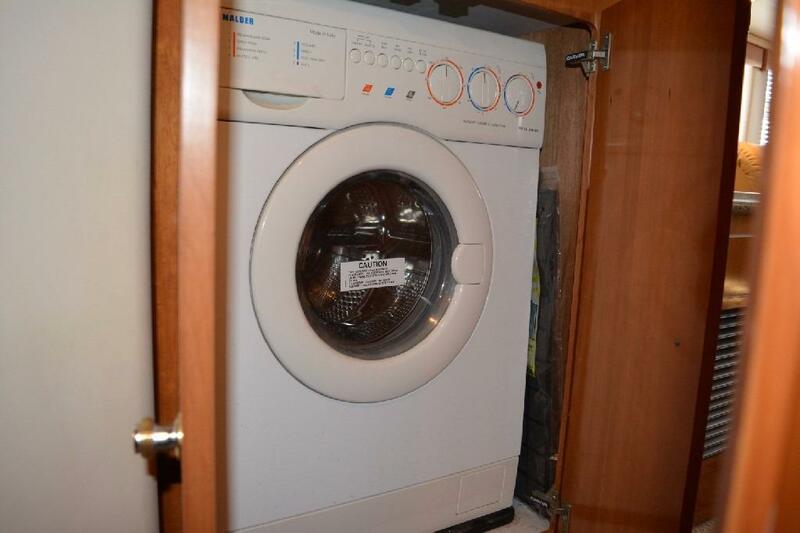 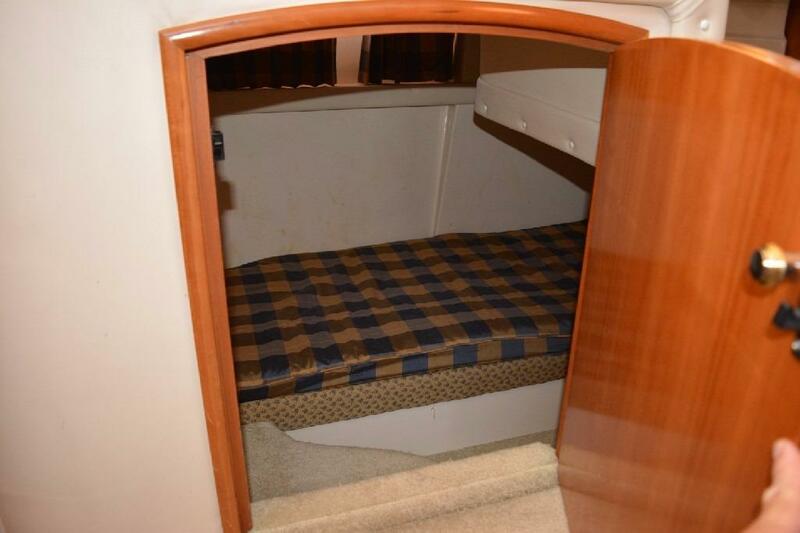 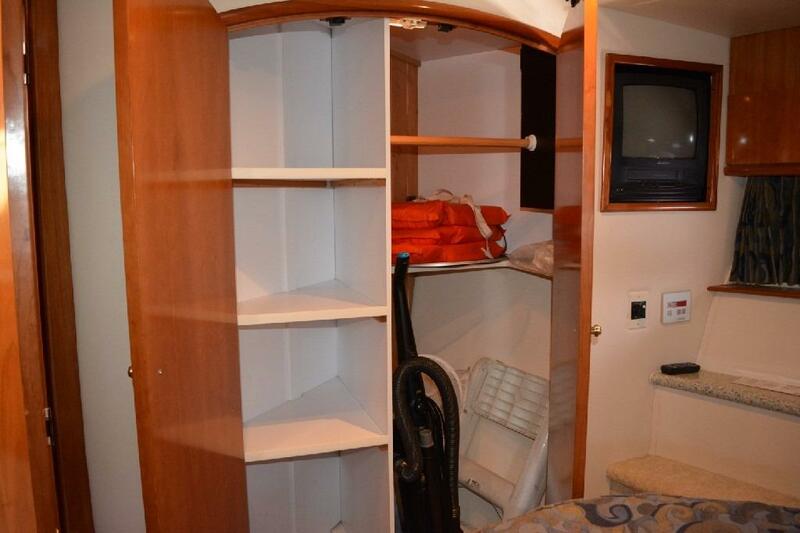 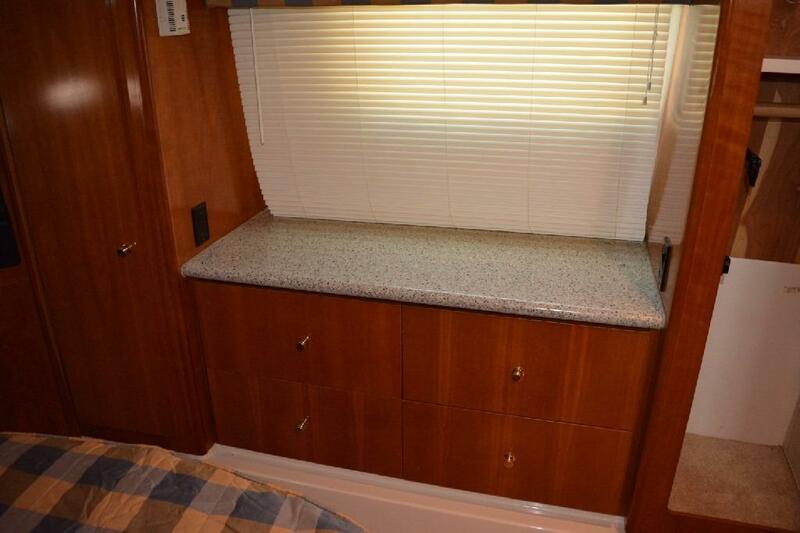 This stateroom can be used as an excellent storage area as well as a private stateroom. 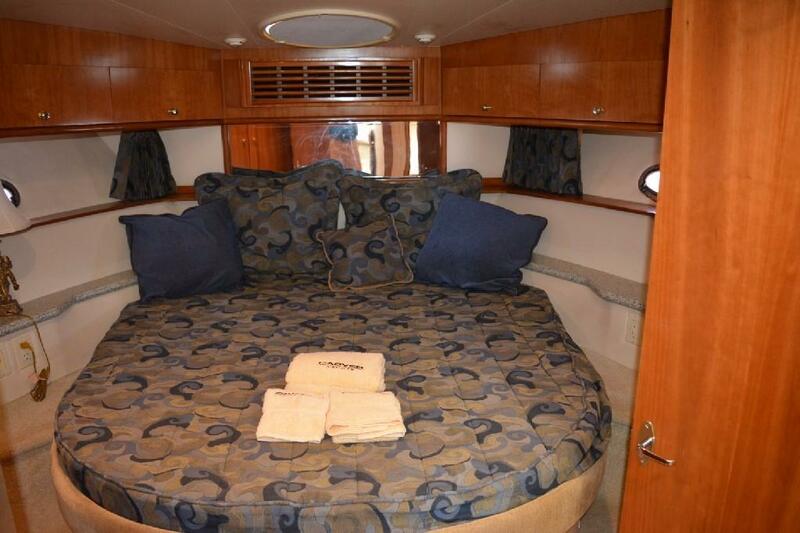 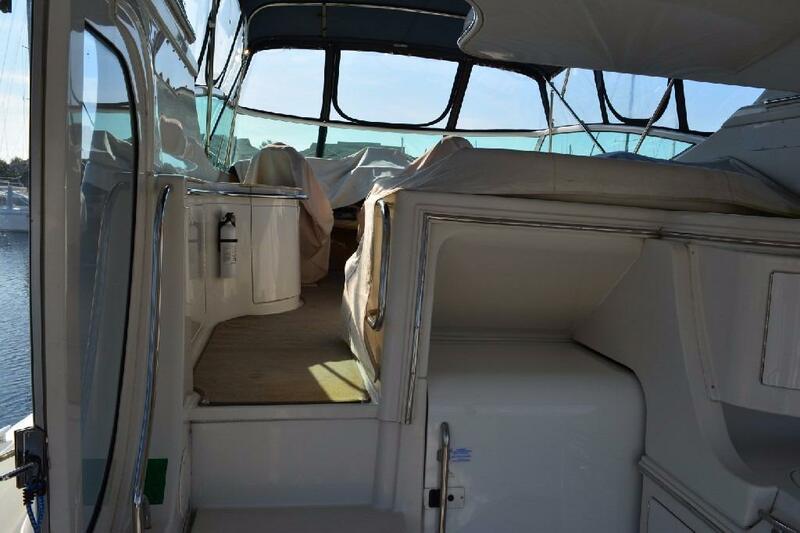 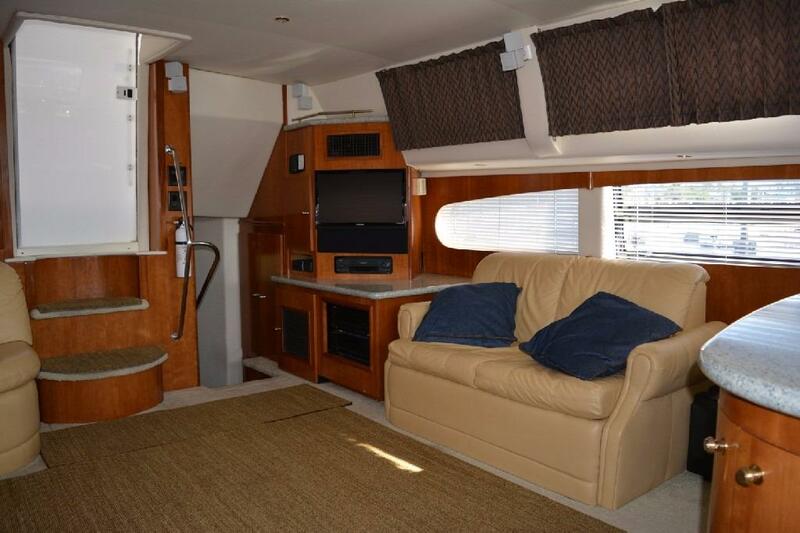 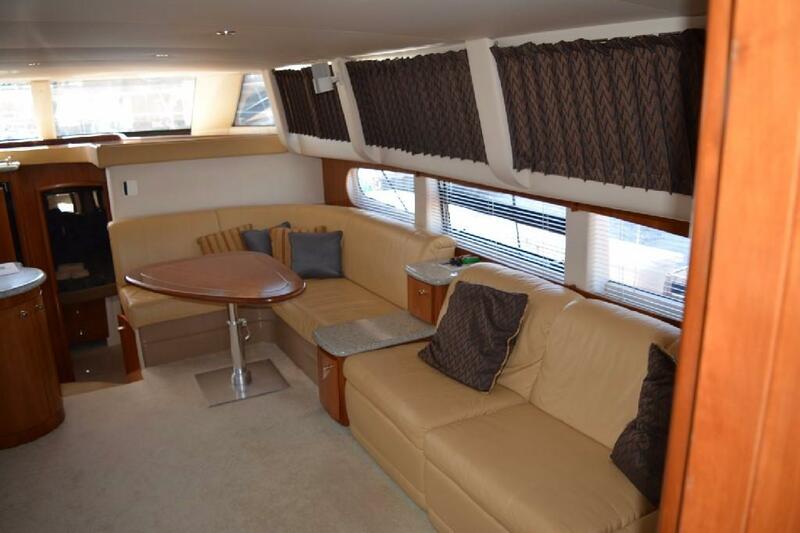 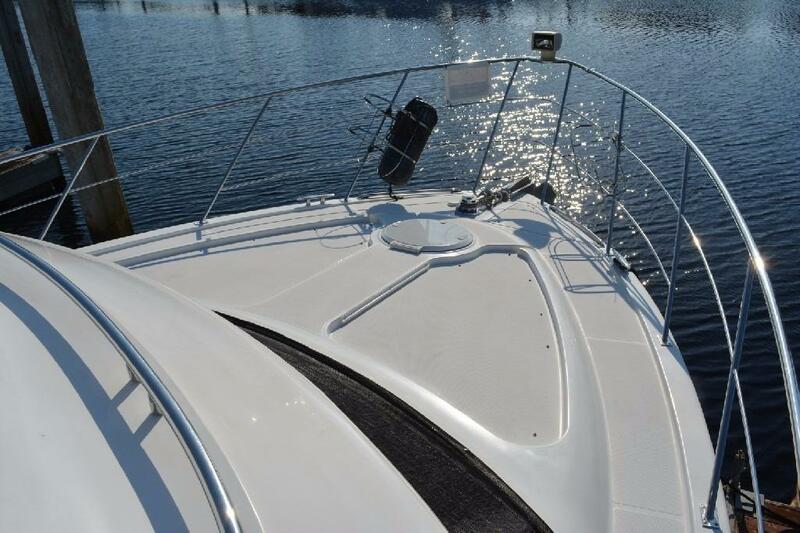 The Aft Master features an Island Queen berth positioned midships facing aft. 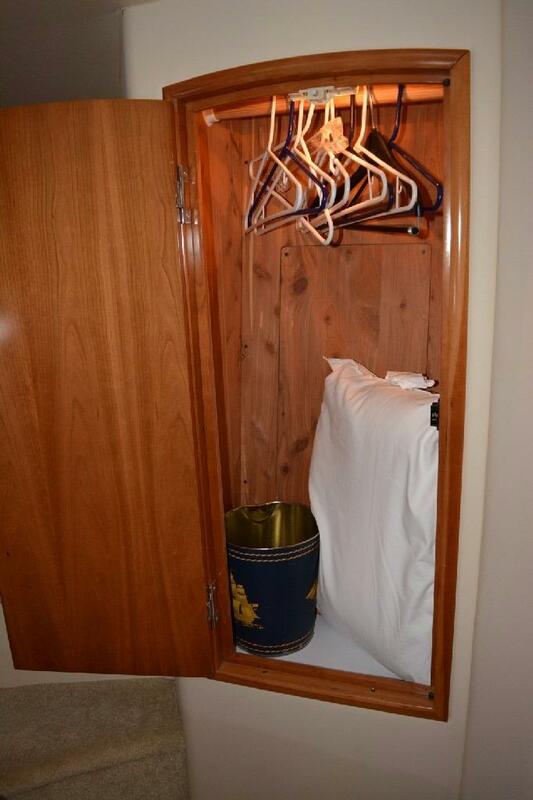 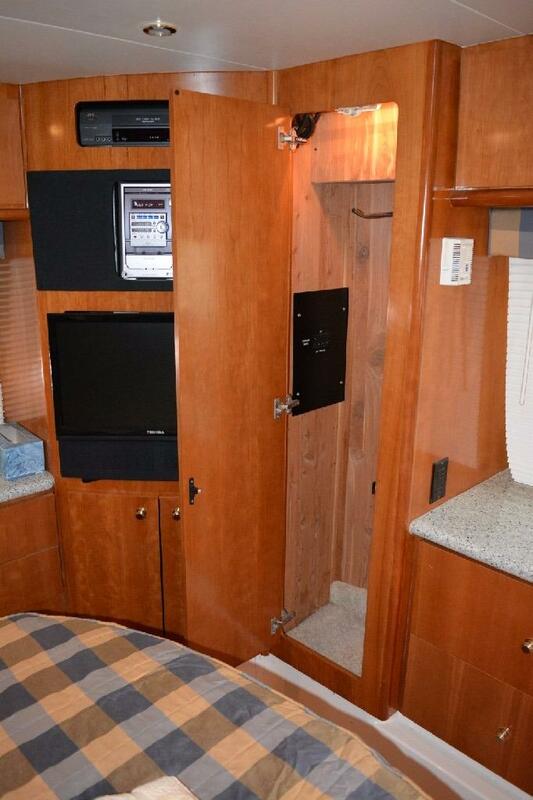 This stateroom also has beautiful cherry cabinetry, two large cedar-lined hanging lockers and ample storage. 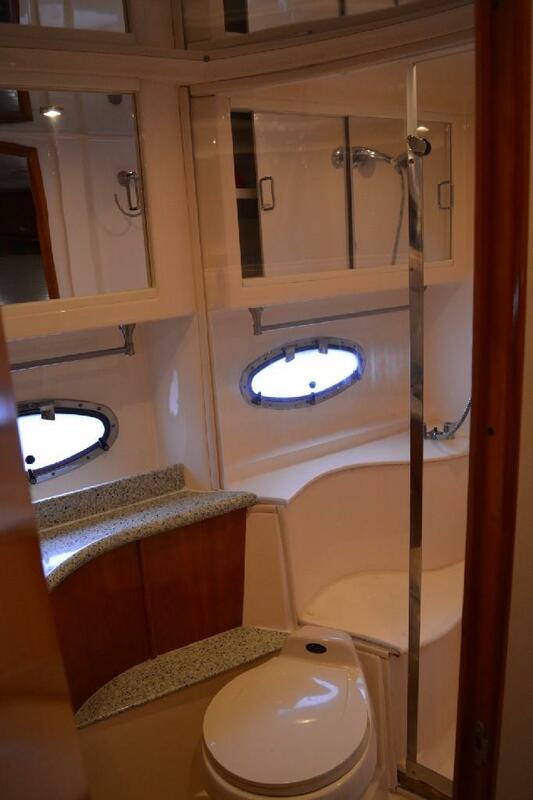 The Master Head is to port, and also features a large stall shower enclosure. 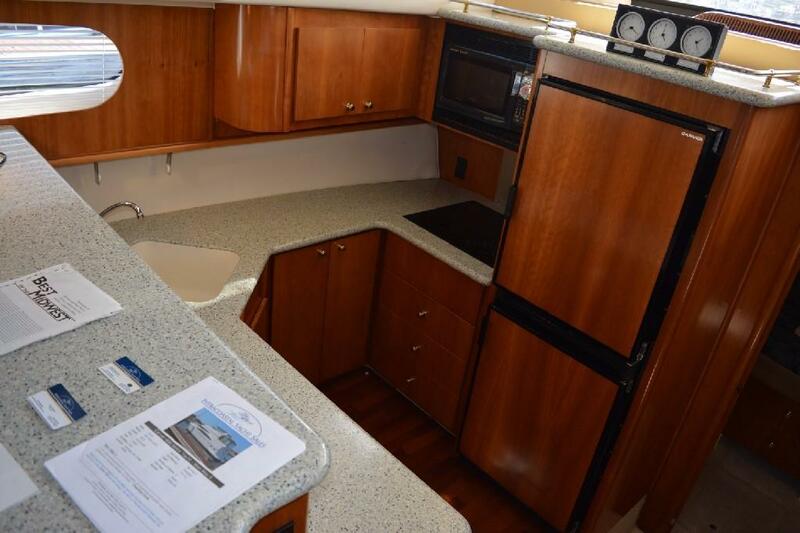 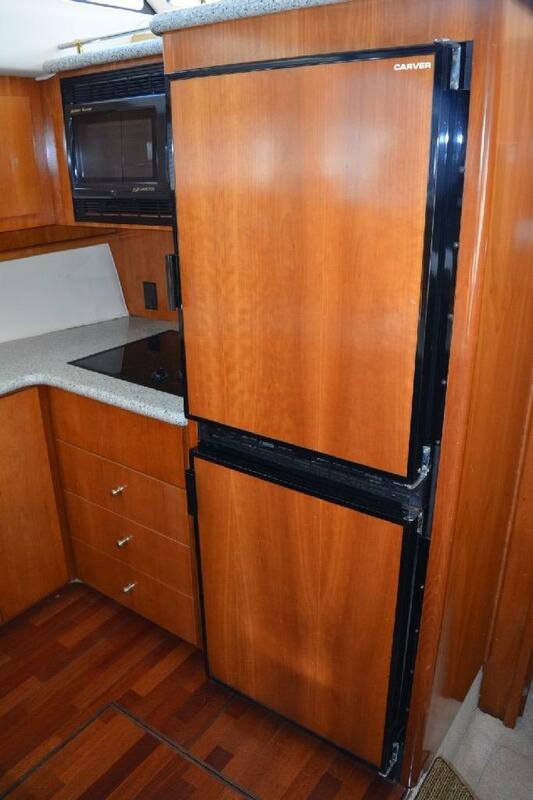 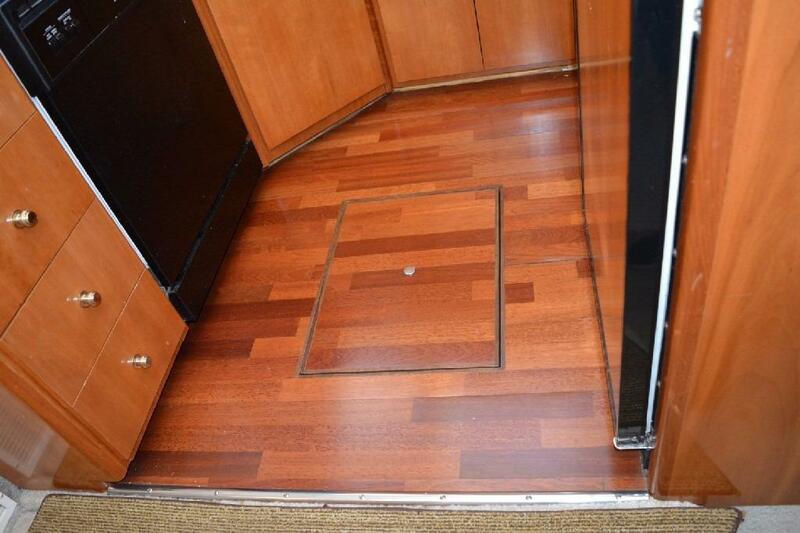 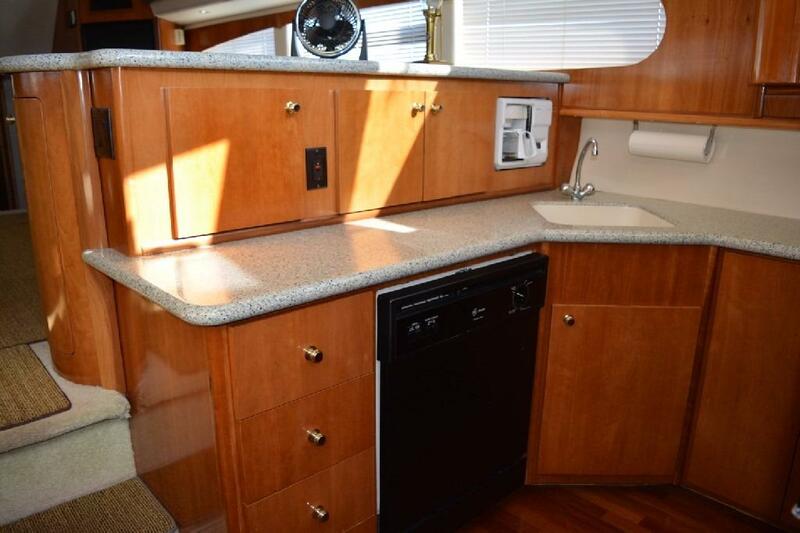 The Galley is slightly down and to port, separated from the Salon by a large serving bar.